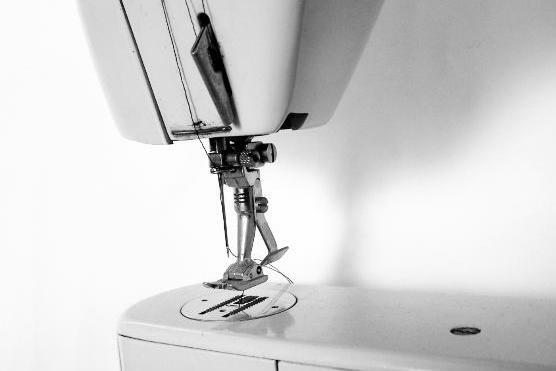 A great sewing machine hack! Sometimes the best hacks are the unusual ones, and this one is no exception. 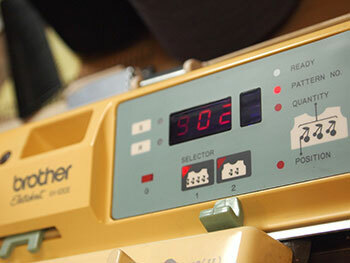 Becky Stern hacked her Brother KH-930E knitting machine to create any design she made in Photoshop. 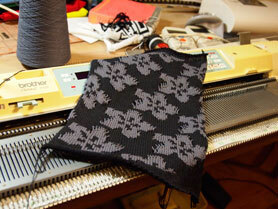 As Becky outlined in her how-to manual, she connected up the knitting machine to her computer with a reformatted and rewired FTDI interface cable. She also installed Adafruit's Github software and did a bit of Python coding. From there, Becky was able to connect the machine to her computer and get creating lovely knitted pixel art (via even more code) to wear. That's a whole lot of geeky coding. 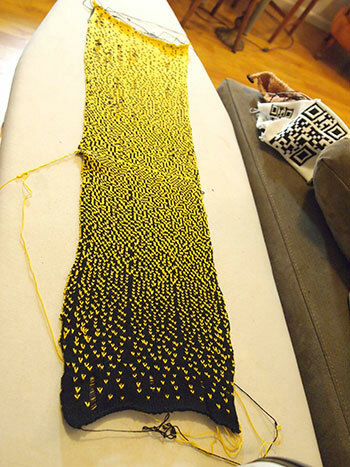 She says that her code is based on Steve Conklin's knitting machine wiki, however she has also created and tracked down a lot of troubleshooting guides in case things go wrong for others trying out her instructional guide. This knitting machine hack is pretty impressive, and imagine how much better Christmas will be when — instead of getting the usual odd-shaped knitted jumper with a "pattern" on it — you get Space Invader socks or a Nintendo-themed scarf? Er... yes please! You'd better be taking notes, Grandma! See the above video to watch it in action.